The Substation And Room40 Presents Merzbow Cat Hope The SUBSTATION and Room40 presents one of experimental music's most famous figureheads in a Melbourne Premier. For the past four decades, Japan's Merzbow (aka Masami Akita) has reigned supreme as the undisputed king of noise. With hundreds of releases to his credit, Merzbow has created a sonic macrocosm which has inspired generations of artists. In his fourth decade of releasing brutal soundscapes, Merzbow is as prolific as he is extreme. Within the world of noise, he is one of the genre's true icons. Since the start of the '80s, Masami Akita has released, by a conservative estimate, 400 albums, and his compositions are rarely shorter than ten minutes. The Merzbox, his infamous 2000 release on Extreme, consists of 50 CDs alone. 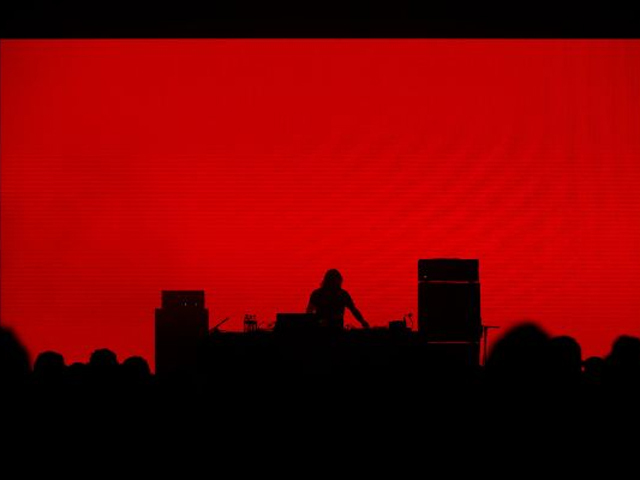 Live, Merzbow's sonic works are all-consuming; he creates a uniquely physical sound world within which the bodies of his audience are entirely consumed. To describe it as a wall of noise is to understate the experience, Merzbow's performances generate a universe of noise, infinitely deep, infinitely complex and one that produces profound overstimulation across all spectra of experience, resulting in a euphoria unlike anything else you might hope to experience. Merzbow is joined by the formidable composer and low-frequency cultivator Cat Hope, a Perth-based noise, installation and performance artist and founding member of noise duo Lux Mammoth.